Please, first log in to purchase a Gift Certificate. Print from your own computer. Mail to you or to the recipient. 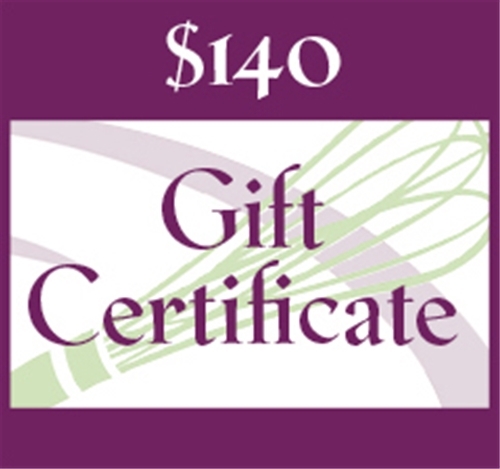 Gift Certificates may be redeemed for cooking classes or merchandise. They may be used online or in the store. They expire after one year. Gift certificates can be printed from your own computer or mailed to any address. If you are printing a gift certificate from your computer, please log in or create a Kitchen Conservatory account. After completing your order, go to your account to view and print the Gift Certificate!